I have captured this picture of 'Southern Masked Weaver' at Marieval Bird Sanctuary, yesterday. It's a common bird here in South Africa and I've already posted this species. But I always try to improve (if I can 😉) my work. Light was in my favor and to get such out of focus background is my first goal before clicking. I used that dry plant as composition and tried to frame without leaving any BLANK SPACE in the frame. It's always an honour to be your neighbour in the gallery. Fantastic photo, and I think you fully achieved your goal: there's no blank space on the image. It's awesome how you used the branches as a compositional element, and the bright yellow of the plumage makes superb contrast with both the tree and the rather dull background. Great pose and excellent sharpness as well. Although you have many excellent photos posted on TN, this is one of the most spectacular ones in my opinion. Bravo, hats off! Amazing quality...exceptional colors and contrast. The details are superb. The branches are framing well the bird. 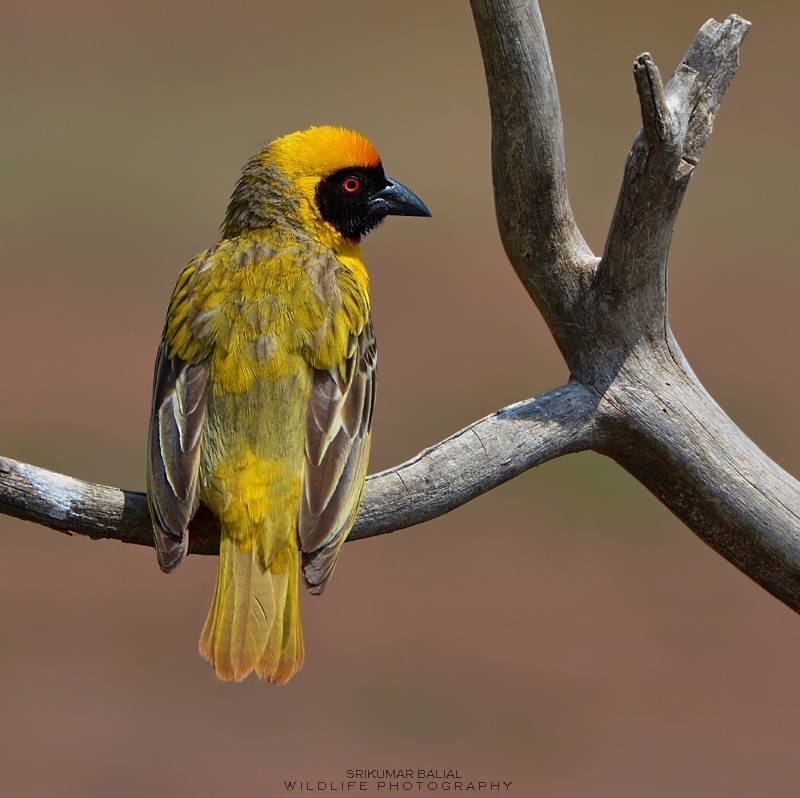 The point of view is showing the details of the Southern Masked Weaver. The light is giving good rendering of the colours. Have a nice day.